It’s Sugar Awareness Week, so we’re helping you cut back on sugar with no sugar added recipes to replace processed staples and sweet treats. Make a big batch of this Homemade Marinara Sauce and freeze it to avoid sugary jarred sauce. Don’t have dessert for breakfast, make Healthy No Sugar Added Blueberry Muffins. You won’t believe this beautiful Chocolate Chia Pudding Parfait is good for you. Give your kids a healthy snack with the Best Slow Cooker Homemade Applesauce. 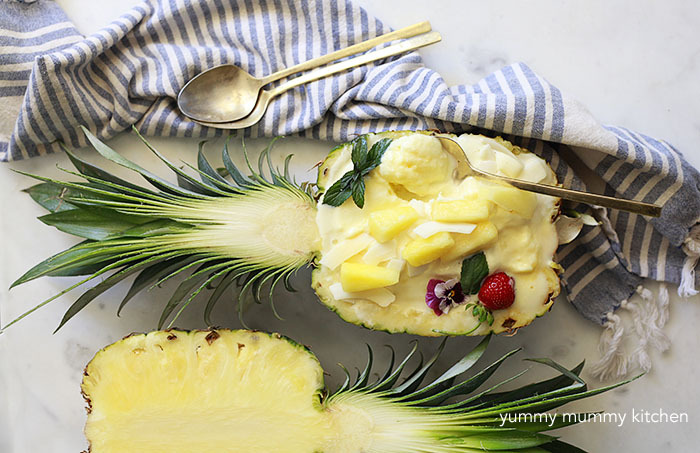 This easy Pineapple Vegan Ice Cream is a refreshing treat that you can whip up in minutes. These Homemade Blueberry Nectarine Swirl Roll-Ups are made of nothing but fruit. Whip up this super simple Easy Homemade Salsa and skip the store-bought.